Today I want to share another super fun DIY we created that goes perfectly with our prints from the Canon IVY Mini Photo Printer! 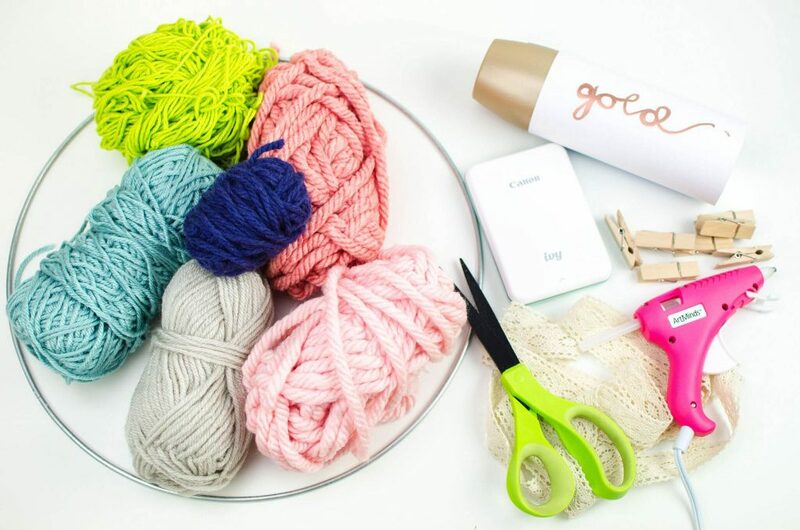 A few weeks ago we made the cutest DIY Photo Lamp with the Mini Photo Printer. It turned out awesome. 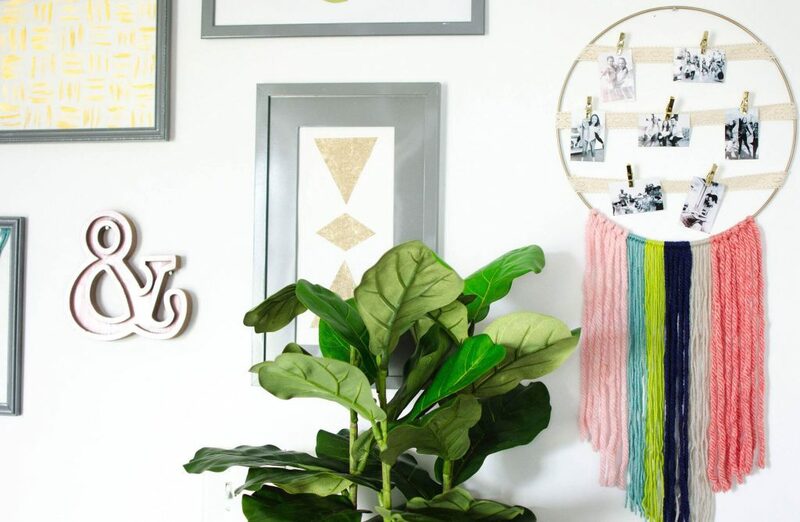 Now we’ve made a DIY Yarn Wall Hanging Photo Display and we can’t wait to share it with you. I’ve talked about how much I love IVY ZINK Photo Paper because you have the option to peel the back off and adhere them to your favorite surfaces. 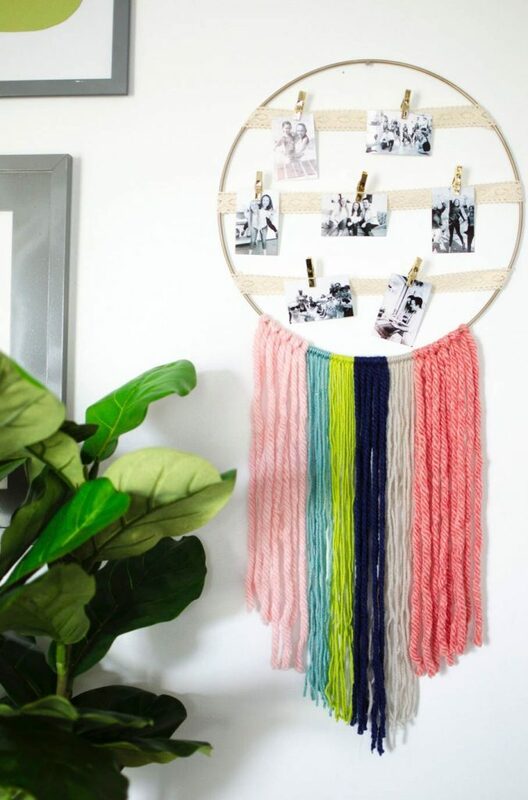 We adhered them onto the DIY Photo Lamp but for today’s project, we’re simply hanging them onto this beautiful and stylish yarn wall hanging. Keep reading to see how we created it! 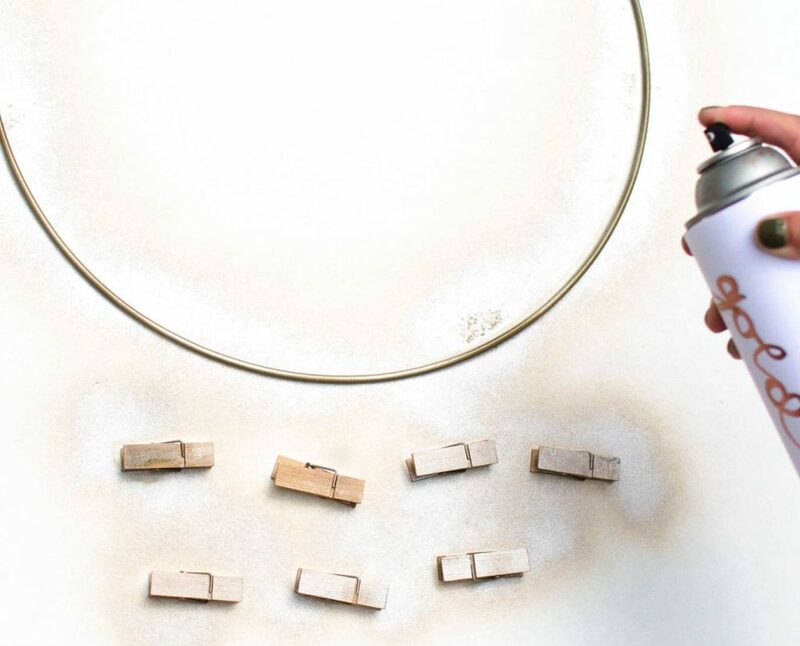 Step One: Spray your hoop and clothespins with gold spray paint. This may take a few coats. 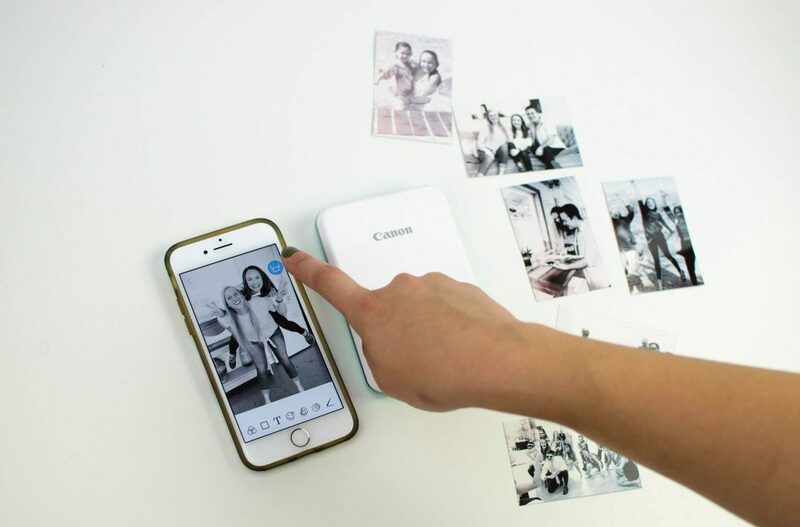 Step Two: Use your Mini Photo Printer to print your favorite photos. Download the Canon Mini Print app. When using the app on your phone, you can also change the color, use filters, add stickers, and more to your photos before you print them! Step Three: Knot strands of yarn at the bottom of the hoop in whatever pattern you want. 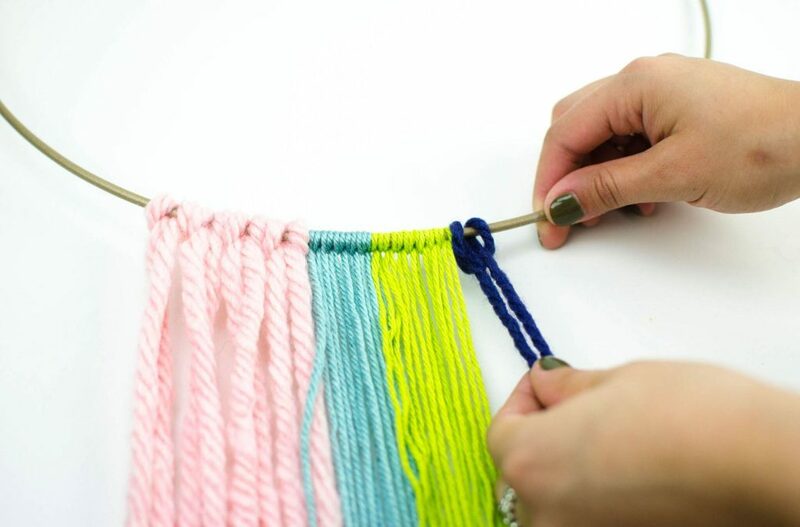 We simply made a loop and then fed both opposite ends of the yarn through the loop, making a pretty knot. 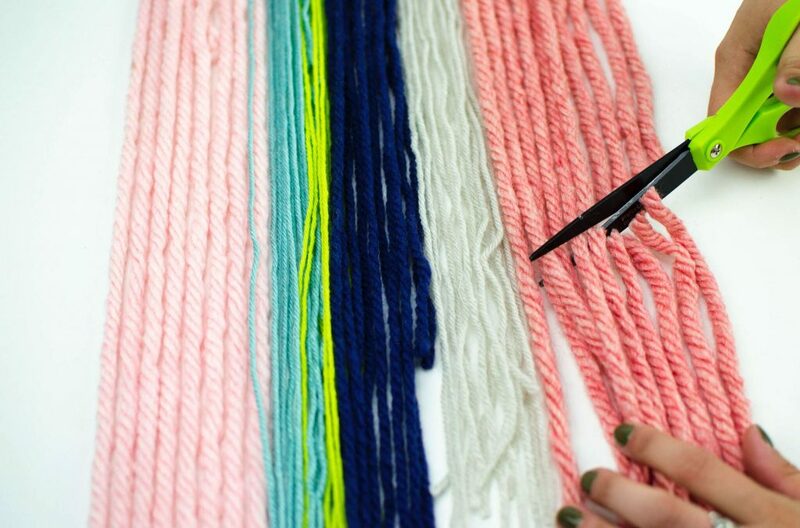 Step Four: Once you have all of the yarn on the hoop, cut the ends how you desire. You could cut them all straight across, on an angle or round like we did. 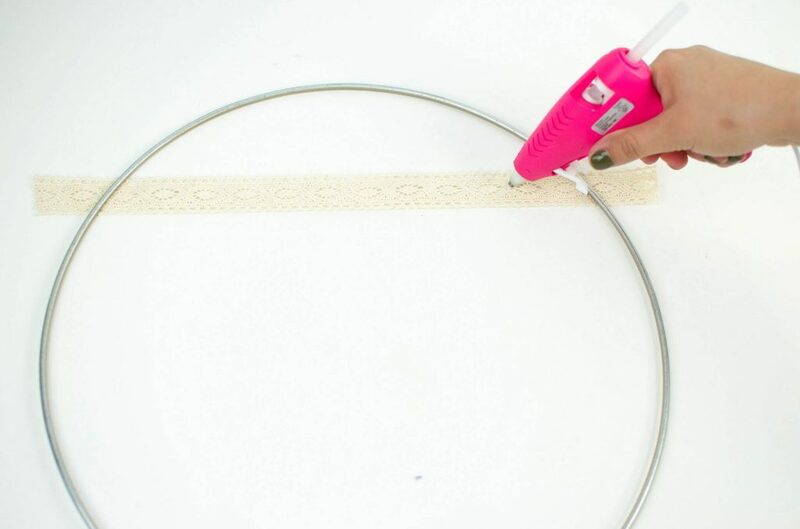 Step Five: Now measure, cut, and hot glue your lace ribbon onto the hoop. We glued three rows of ribbon to hold plenty of photos! 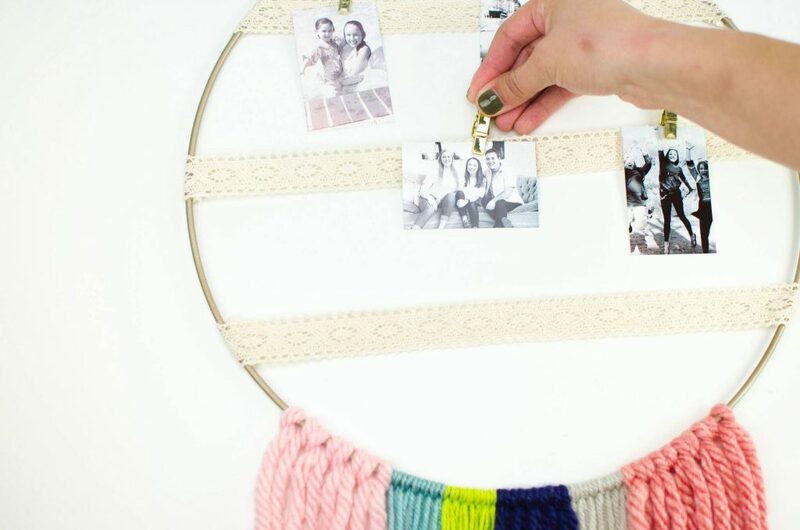 Step Six: Finally, use your clothespins to hang your favorite photos onto the lace. I love the size of the photos. Being 2×3, these fit perfectly in this project and many others. I love how this turned out. The fact that The Canon IVY Mini Photo Printer goes wherever I go is a great way to make sure I keep up with printing all of my favorites!